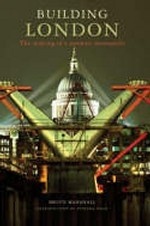 Аннотация к книге "Building London"
The City of London is still confined to a square-mile enclave, as it was when its residents crossed the river to see Shakespeare`s newest plays in Southwark. At that time, up the river there was another city - Westminster, seat of the Royal Court, the Law Courts and Parliament - but within 200 years the two settlements had fused, making London the largest city on earth, the first to reach a population of one million. In the nineteenth century, London`s population grew to six million and the building boom began. Poorer people and dirty industries congregated in the east; the better-off lived and worked in the west. The Victorians built breathtaking edifices, the crown jewel of which was the new Houses of Parliament. After the destruction of the Second World War, the post-war era saw the arrival of the modern movement and the wholesale use of poured concrete, glass and steel. Now, in the twenty-first century, London`s architecture is as vibrant as ever - the last ten years have seen the building of many of London`s greatest landmarks, including the Swiss Re headquarters and the London Eye. "Building London" is a visual record of that remarkable story, detailing how the city was built and introducing the great architects and engineers. It contains rare images from the earliest days of photography, as well as evocative photographs from the last 100 years, ensuring all of London`s iconic buildings are featured.